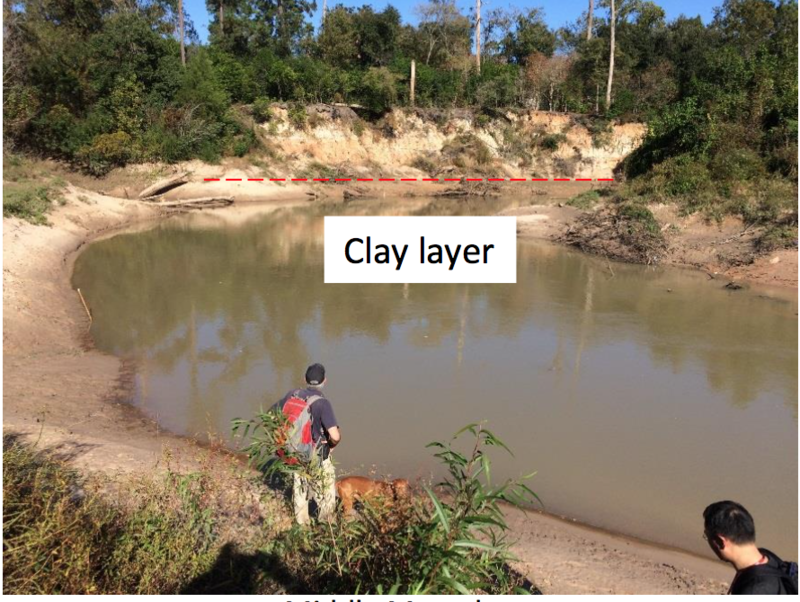 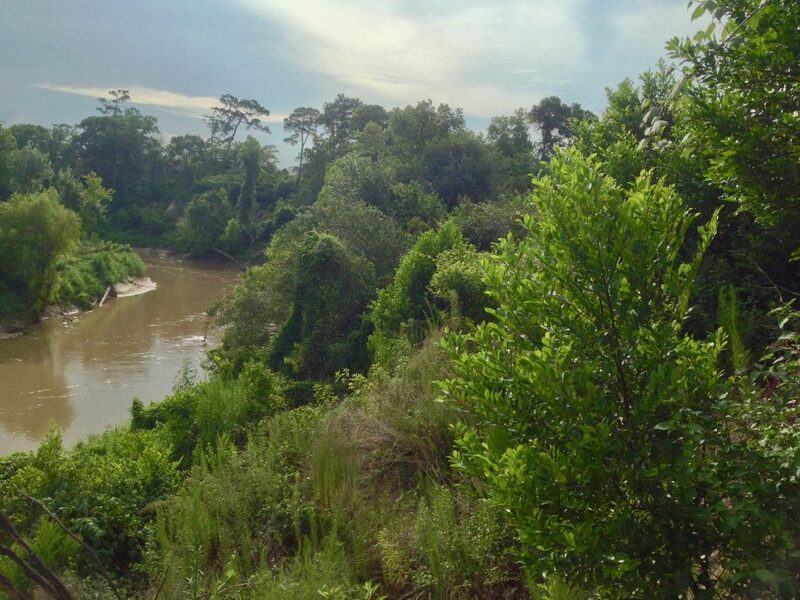 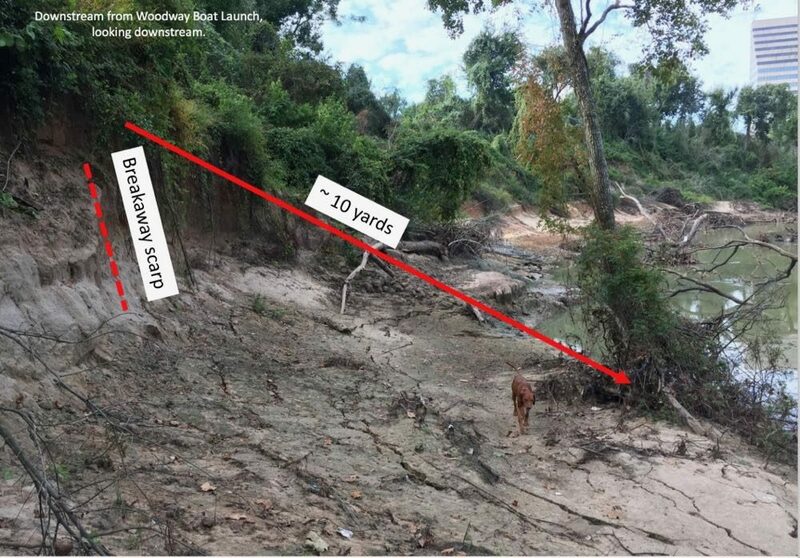 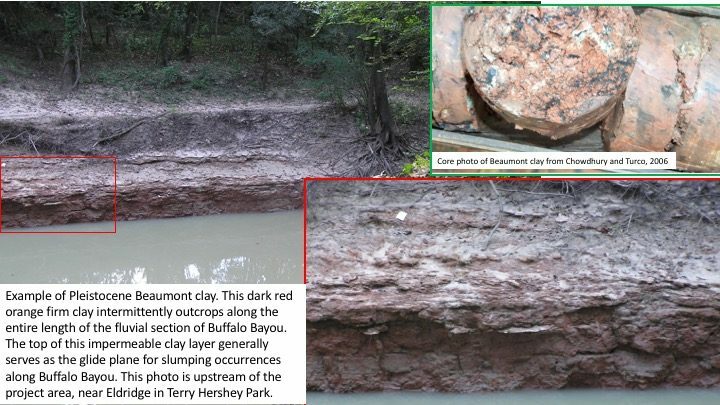 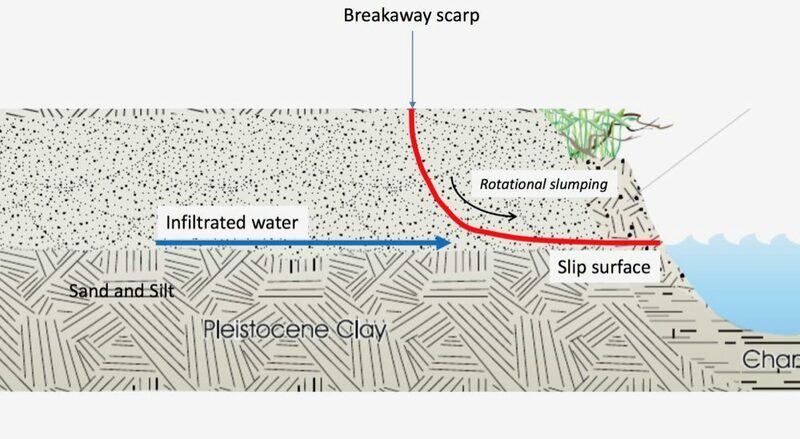 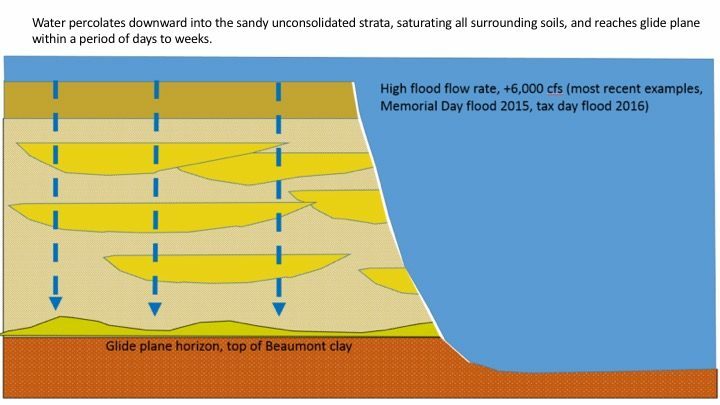 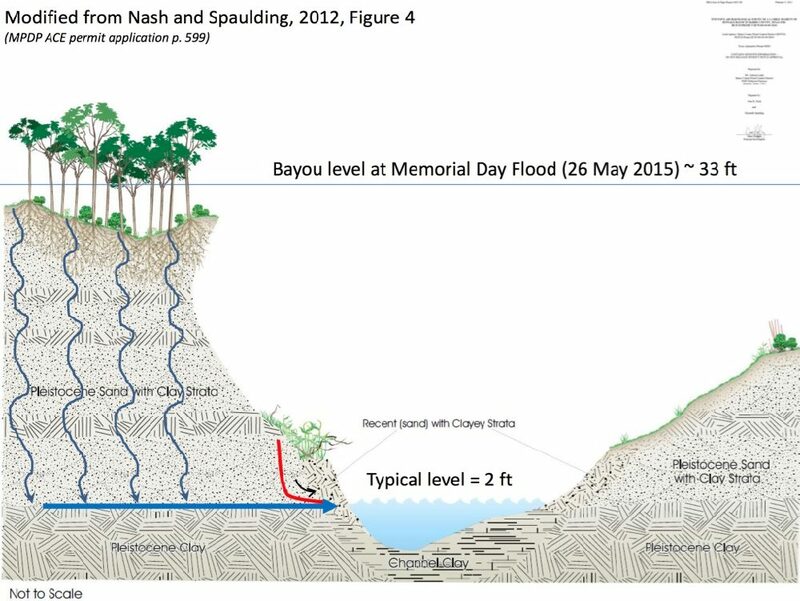 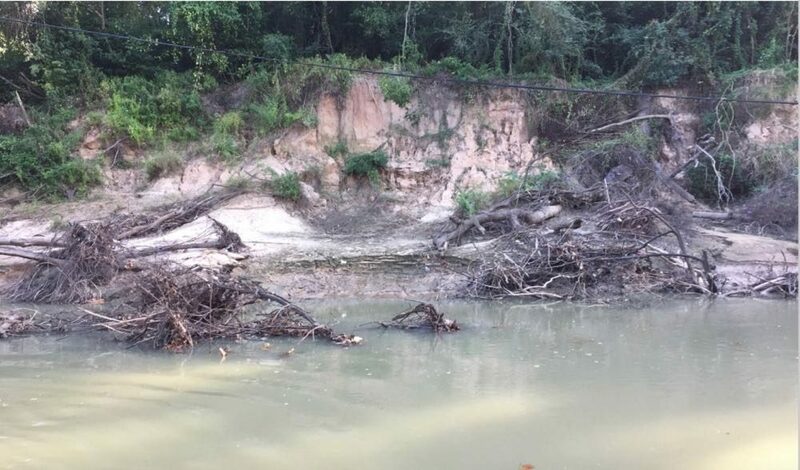 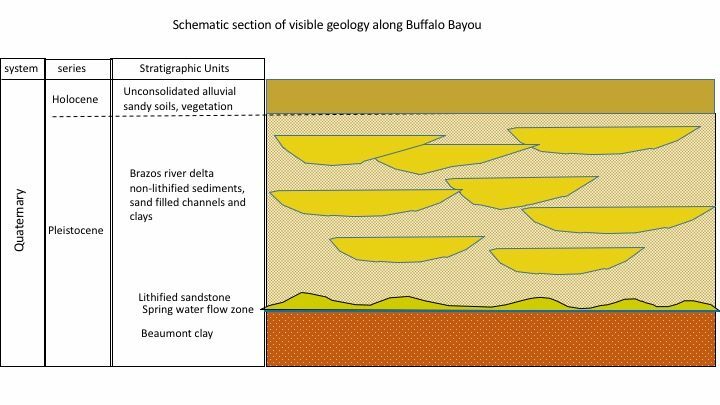 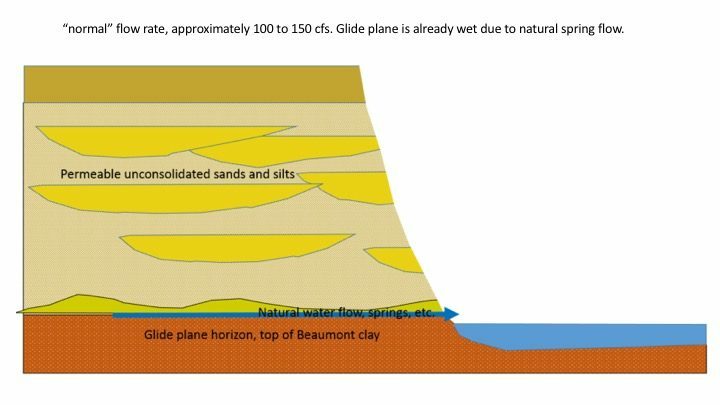 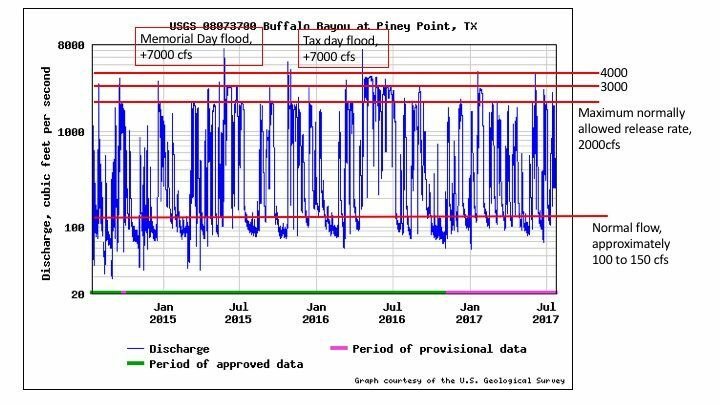 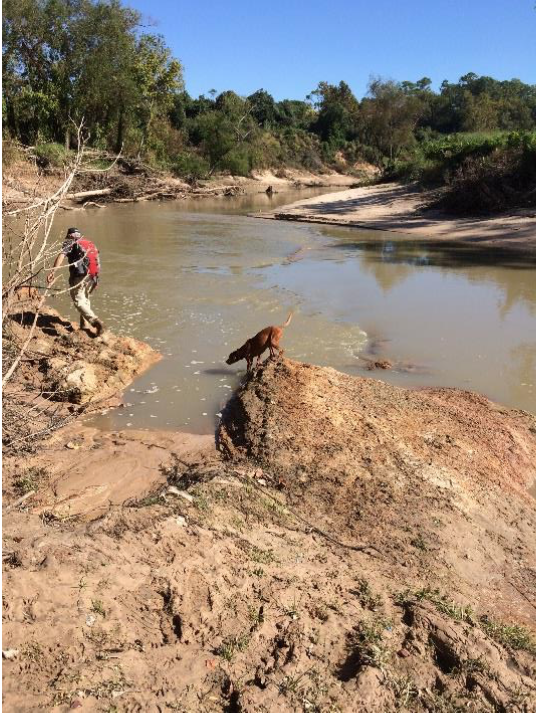 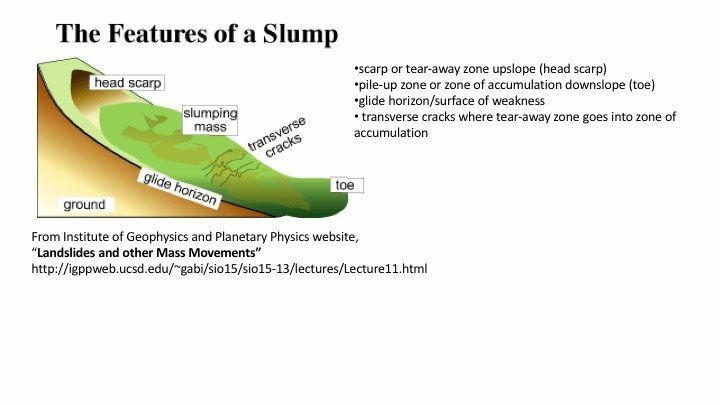 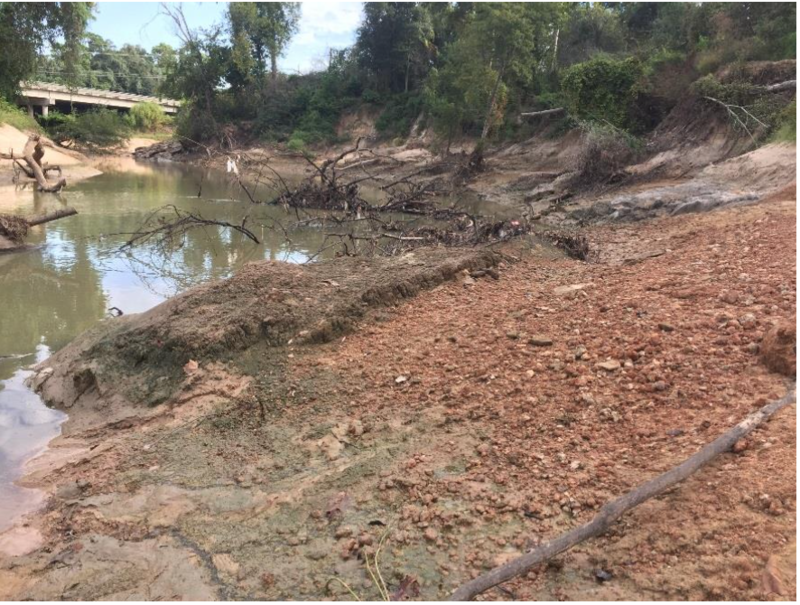 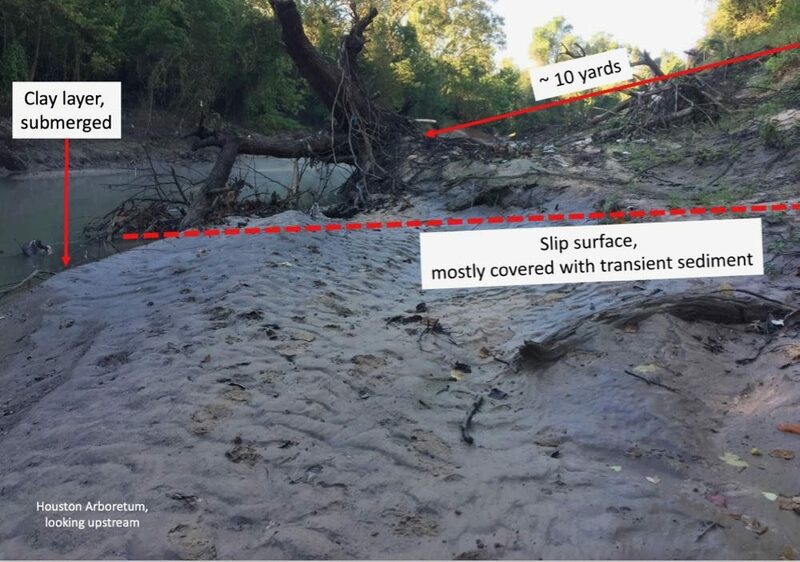 According to a lengthy analysis by geologists working with Save Buffalo Bayou, slumping is the primary type of bank collapse on Buffalo Bayou. 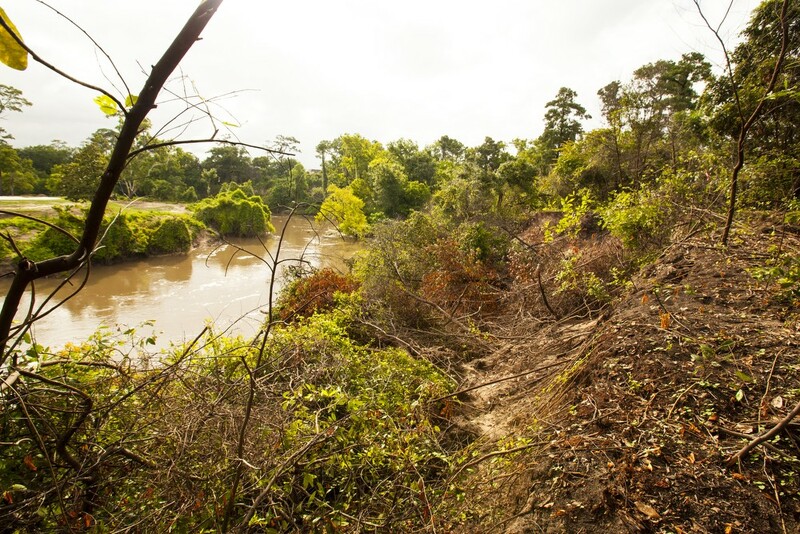 The high bluff of the Hogg Bird Sanctuary at the downstream limit of the project area is an example of this. 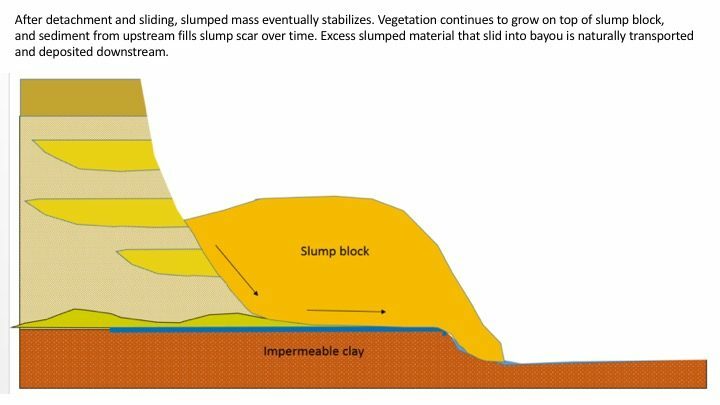 It is an excellent example of (vertical) slumping and rebuilding. 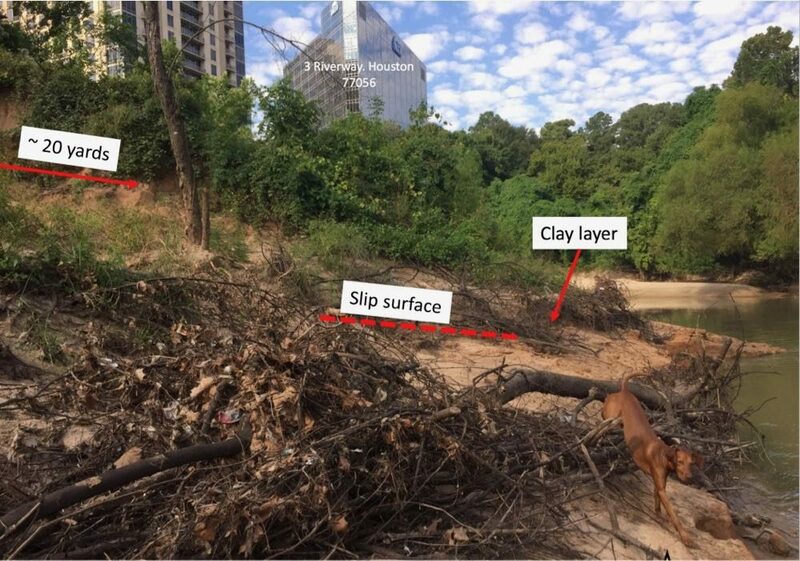 Unfortunately there is simply no remedy for slumping here or elsewhere—other than to move back and out of the way, to not build on top of the bank, to stop watering the grass, to control runoff, to not cut down the trees or put in short-rooted grass at all, and so on. 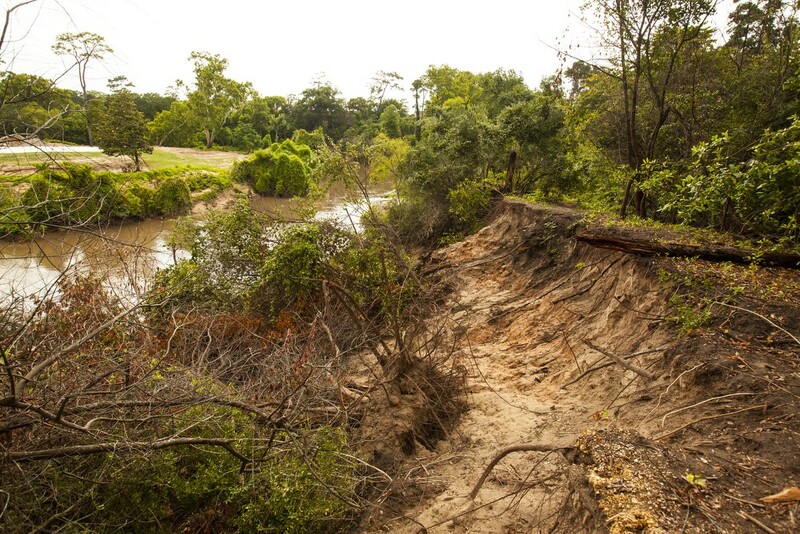 First of all, leave in place trees and vegetation that have slid down the bank. 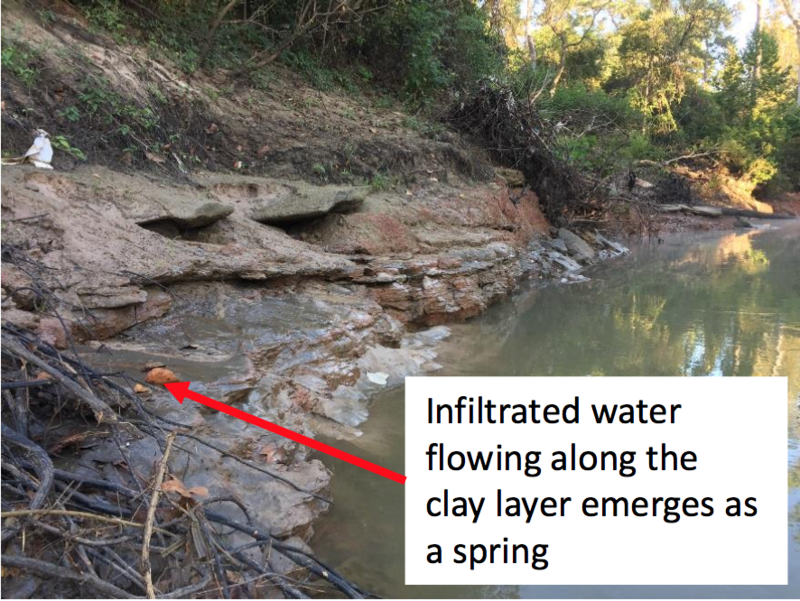 They can continue to live, reroot, provide structure and collect sediment to rebuild the bank. 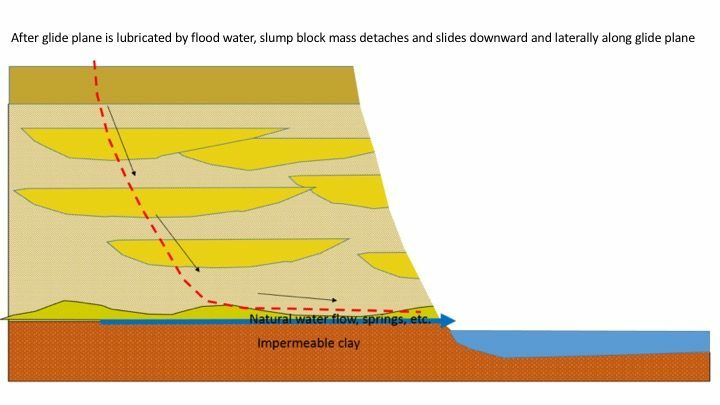 This is nature’s way, and it’s been happening for a very long time. 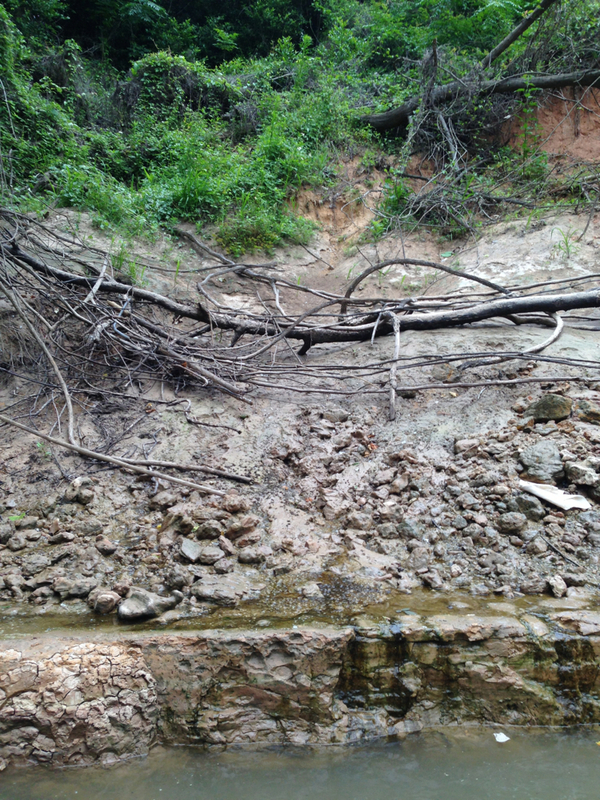 You can also try to mimic this natural process by building brush mattresses and anchoring them into the bank. 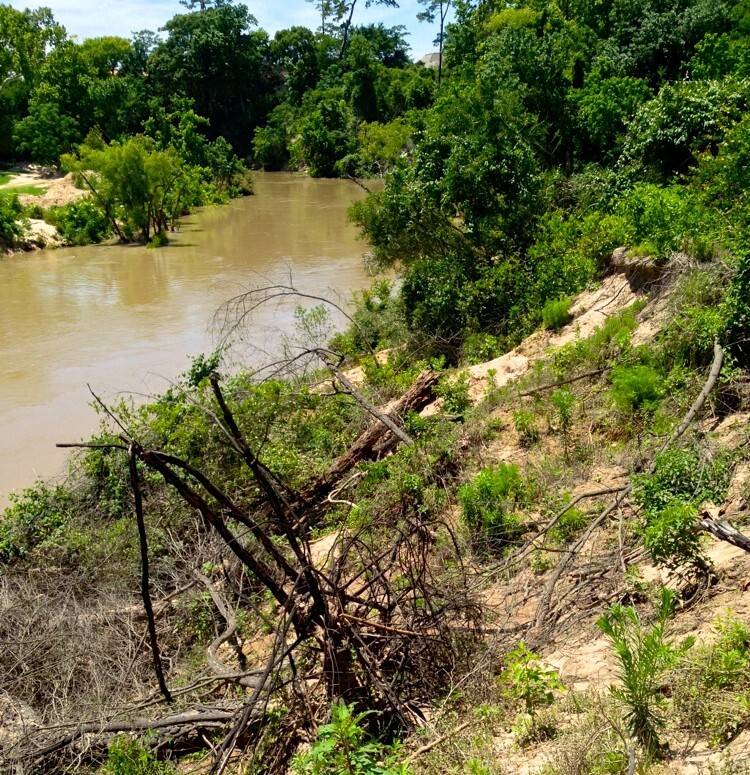 Tossing some native riparian plant seed on the banks will help nature reinforce your banks. 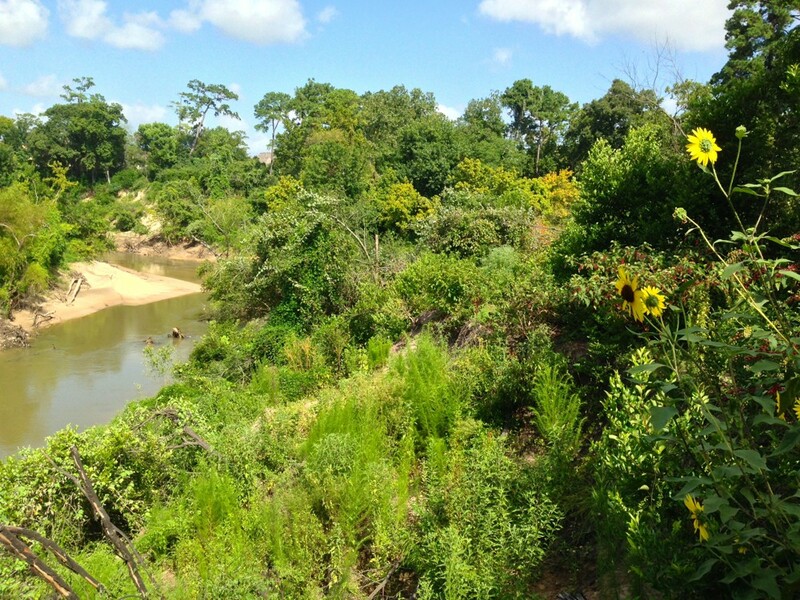 Consider buying some smartweed seed or Riparian Recovery Mix. 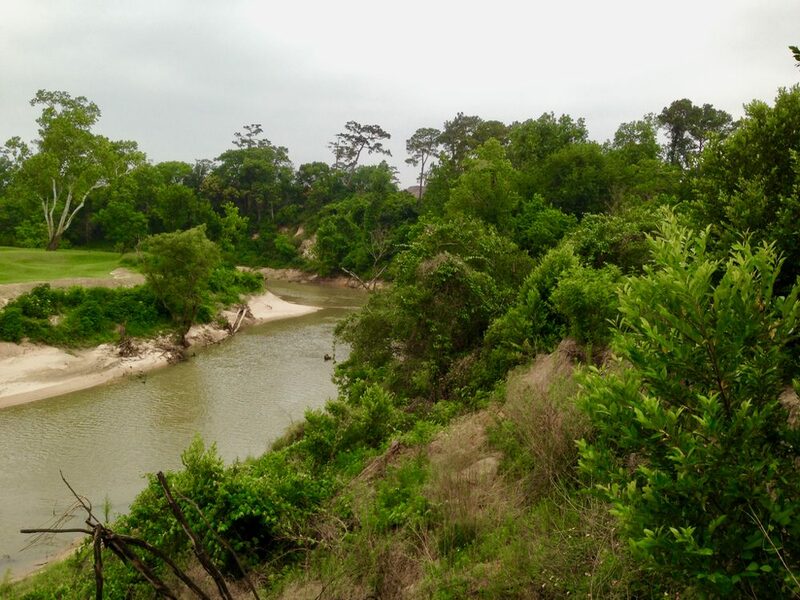 Consulting Your Remarkable Riparian Owner’s Manual will help explain best practices and nature’s landscaping on Texas riverbanks. 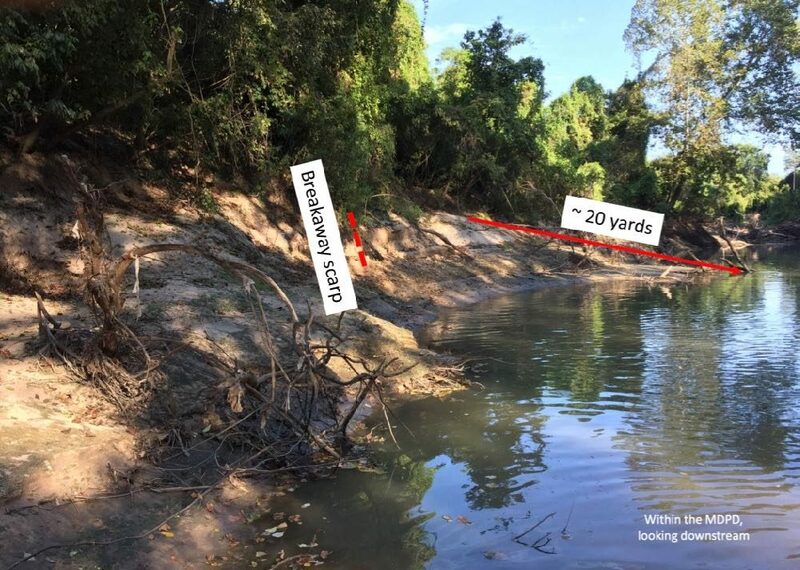 Riprap and other hardening methods are specifically rejected as erosion control methods by the Corps of Engineers due to their “lack of shear stress reduction, lack of habitat creation, lack of natural occurrence [in Buffalo Bayou], and erosive energy transfer [they] place on the opposite bank of the bayou at a downstream location.” (p. 23) The weight of riprap used on a slumping riverbank can actually accelerate slumping.